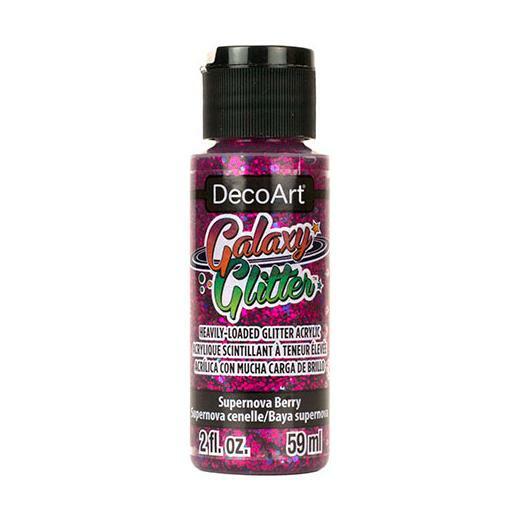 Create out-of-this-world sparkle with DecoArt Galaxy Glitter Acrylic Paint! Specially formulated with the ideal combination of various sizes and colours of glitter, craft projects will burst with bold flare. Water-based acrylic paints feature a crystal clear base with a heavy glitter load. Suitable for decorative projects on the following (hard) substrates, wood, paper, polystyrene, metal, glass, ceramic, walls. 59ml (2oz) flip top bottle.